Nowadays, more and more people are leaving the static life behind them and heading out in an RV in search of adventure. The prospect of the open road and a nomadic lifestyle are certainly becoming increasingly appealing as housing prices soar and the traditional job market remains saturated. So, you’ve decided you want to swap bricks and mortar for wheels and a motor. What do you do next? Somehow you’re going to have to make a living while you’re one the go because that RV of yours isn’t going to fuel itself. 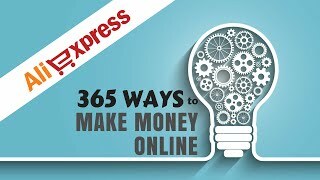 You might have decided that working online is the perfect way to generate some income, but what if that’s not enough. When you buy an RV you have at your disposal a very useful money-making tool. Indeed, you can use this tool to start up your very own side business. And, you can do this with relative ease. How Can I Generate Revenue From My RV? Rent it out with RVShare. Just as Airbnb is a platform for individuals to rent out their properties, RVShare works in the same way but with RVs instead of static accommodation. The only requirement to use the website is simply to be in possession of an RV. Tick that box and you’re good to go. All you need to work out after that is where you’re going to stay while your vehicle is being rented. RVShare acts as an online marketplace for RV rentals. Owners simply need to post a listing of their RV with a description of the vehicle and a price per night. Once it is online, potential renters can then browse through the listings until they find one that suits their needs. In other words, it connects people for a specific reason, meaning that virtually everyone who visits the site is a potential customer. How Do I Make My RV Stand Out? Naturally, with a website like RVShare the power is very much in the hands of the consumer. This means that those posting ads need to work a little harder to make their listing stand out. Here are some simple tips to get more business. Offering discounts related to the number of nights renters want the vehicle; providing a solid and compelling description; and making sure you have quality photos will all help your RV get noticed. You might also want to include certain things with your RV such as kitchen equipment, first aid kit, coffee machine etc. These benefits are appreciated by buyers and will put you ahead of someone renting an RV that lacks these things. How Much Can I Earn From RVShare? How much you make really depends on you. If you have good customer service and have a good quality RV that has been kitted out with a bunch of great mod-cons, you could be making thousands of dollars in your first year alone. Of course, once you get the hang of it, your earnings will increase exponentially. How Can I Be Sure I Will Get Renters? There is no guarantee that your RV will constantly be rented (and you may not want it to be if it is your primary domicile). Nevertheless, there are things you can do that will definitely increase traffic to your listing. The number one way of doing this is with online reviews. Once you’ve had your first renter, encourage them to write a review. This gives future renters an idea of what they are in for. The more positive reviews you get, the more people will want to rent your RV. Simple! Start Your Drop Shipping Business Today!